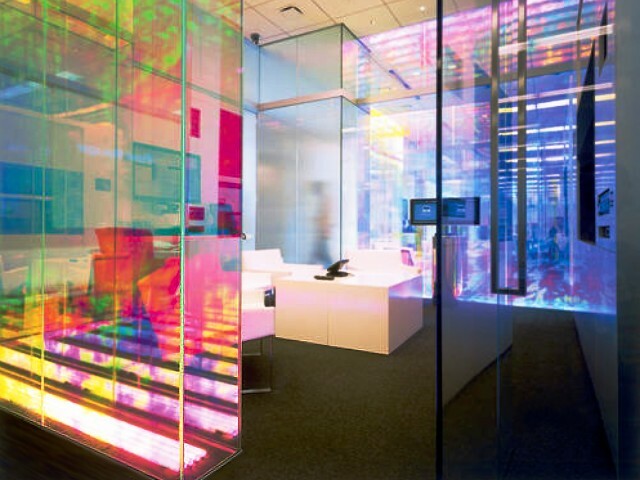 Architectural glass is glass used as a structural element, as opposed to merely decorative or inserted in hole in the wall for the sole purpose of providing light and a way to see out. Thus architectural glass doors are doors wherein the glass is an integral structural element of the door. There are many options when choosing glass for your architectural glass doors, although it may be wise to choose from safety glass types, which include toughened, reinforced and laminated glasses. 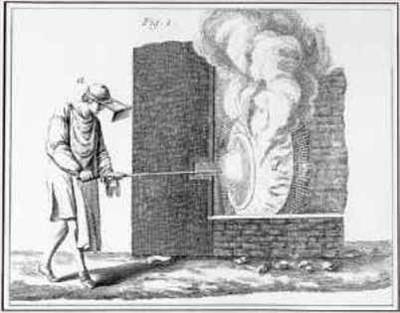 Crown glass is the earliest style of glass window. It consisted of hot blown glass forced onto a round, flat sheet and cut to size. It was a very expensive mode of manufacture and could not be used to make large panes. It is not ideal for architectural glass applications, as it is not particularly strong compared to newer glass technologies. Also, it is expensive. It is still used for restoring old buildings, however, as it has a unique look that cannot be obtained through any other process. Glass blocks or glass bricks are often used as architectural glass in building walls and partitions, but are not ideal for doors as they tend to be very thick and very heavy. They could be used for doors, but this application is rare. To make rolled plate glass, large amounts of molten glass are thrown on the cast iron bed of a rolling table, and rolled like dough. It is then trimmed roughly while hot and soft. Figure rolled glass results when the plate is cast between two rollers, one of which carries a pattern. The resulting pattern will appear in high relief. It is usually whiter than clear glasses and can be laminated or toughened to produce a safety glass suitable for architectural glass doors. This may be an option if you want to combine strength with decorative properties, and a whiter, more opaque color for the sake of privacy. 90 percent of the world’s flat glass is float glass. 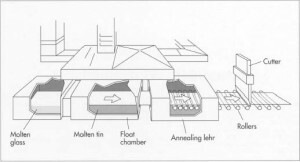 Molten glass is poured onto one end of a molten tin bath. The glass floats on the tin, and levels out as it spreads along the bath. The result is that the glass will be smooth on both sides. The glass cools slowly and solidifies as it travels over the molten tin. A very small amount of tin becomes embedded on the side facing the tin, and this side is easier to make into a mirror. Molten glass floating on tin will normally spread out to a thickness of about 6mm. It is made thinner by stretching it as it cools, and thicker by squashing it as it cools. Laminated glass is a safety glass that holds together when shattered. It is held in place by a layer wedged between layers of glass that prevents the glass from breaking into large, sharp dangerous pieces. It is often used in architectural applications. As an added bonus, it insulates better against sound and blocks 99 percent of ultraviolet light. Very informative post. I’ve found your site via Bing and I’m really happy about the information you provide in your articles. Btw your sites layout is really broken on the Kmelon browser. Would be really great if you could fix that. Anyhow keep up the good work! I really like studying your piece, I have also bookmarked your blog #for the# future and added it to my RSS feeds. Thanks!